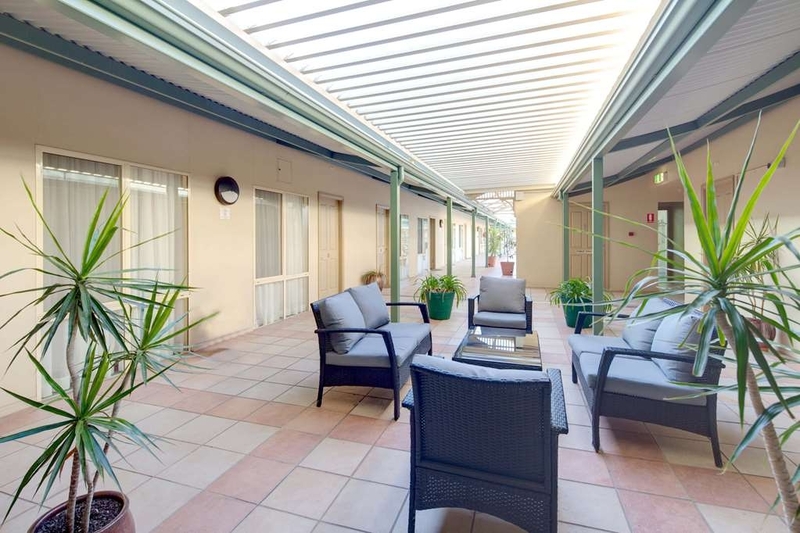 Das Best Western Crystal Inn ist ideal in Bendigo Stadtzentrum zu finden. Erleben Sie ein schöner Aufenthalt in der Nähe von alle Sehenswurdigkeiten. Bestpreisgarantie und exklusive Angebote. Willkommen im Best Western Crystal Inn, nur 5 Minuten vom Geschäftsviertel (CBD) entfernt!Wir bieten persönlichen Service und 31 gut ausgestattete Zimmer, alle mit Queensize-Betten und separaten luxuriösen Badezimmern. Unsere Apartments mit einem Schlafzimmer eignen sich für Gäste, die etwas mehr Platz benötigen und Kochmöglichkeiten wünschen. Alle Zimmer bieten LCD-Fernseher, eine begrenzte Anzahl an FOXTEL-Sendern, KOSTENLOSEN drahtlosen Internetzugang (Wi-Fi), luxuriöse Badezimmer mit kostenlosen Toilettenartikeln, reichlich Arbeitsplatz und eine kleine Sitzecke. Im Best Western Crystal Inn können Gäste das Abendessen und das Frühstück täglich auf dem Zimmer einnehmen. Zu den weiteren Annehmlichkeiten gehören ein voll beheiztes Schwimmbad, überdachte Parkplätze, ein großer Innenhof und Grillmöglichkeiten. In unseren Zimmern ist das Rauchen grundsätzlich nicht gestattet, Balkons stehen jedoch auf Anfrage zur Verfügung. Buchen Sie in unserem preisgekrönten Vier-Sterne-Motel in Bendigo. Wir sind nur 3 km (weniger als 5 Minuten mit dem Auto) vom Geschäftsbezirk (CBD) entfernt. Unser Haus ist der ideale Ausgangspunkt zum Erkunden der vielen Attraktionen von Bendigo. Dazu gehören Weinkellereien, Antiquitätengeschäfte, historische Gebäude, Kunstgalerien, Parks und Gärten. Das freundliche und hilfsbereite Team des Best Western Crystal Inn freut sich darauf, Ihnen einen unvergesslichen Aufenthalt in Bendigo zu bereiten. Reservieren Sie noch heute! Stayed here with my husband recently on our way through to Melbourne. We were greeted by one of the owners personally which I always find great to see the owners still involved in their businesses. Possibly the best service I and my husband have ever received. Down to earth and she knew her town!. She helped us out for dinner options (not just her favourite but she knew basically every option in town!) Getting to the room all areas are clean including the elevator and outdoor areas. We got the Crystal Suite (honeymoon suite) and I was blown away by the size of the room, comfortability and overall it had everything you could need. This will be the only place we stay at anytime we are in Bendigo! So pleased we were able to offer you such an enjoyable experience here at the BW Crystal Inn, Taylah. Thank you for taking the time to tell others all about us :) We hope to welcome you both back again soon. We love the Crystal Inn motel. The rooms are around a courtyard, with a lift from the car park, so it is very quiet. Comfortable rooms, a delightful warm and sunny pool, good food, and friendly service. I can't thank Sharon at the Inn enough for her kindness and compassion over the weekend. Our daughter was unwell and she went above and beyond to assist and offer advice and help. The accomodation was lovely and clean and the pool a godsend on a warm day. Customer service was simply outstanding and I cannot recommend them highly enough. The lovely sitting area by the pool was also a great way to just take a breath. Thank you, Sharon, for taking the time to review our motel and say such kind words about the service I offered. It was an absolute pleasure caring for you all and I am so very pleased you enjoyed your stay here. Great service - very comfortable rooms that are spacious - good shower with option of a spa in some rooms - centrally located pool with outdoor tables under shade sales for that night that the family just wants to sit in & enjoy the surroundings & potentially a BBQ that is also on site & free to use.. Also now that Qantas are flying Sydney to Bendigo, it is the closest hotel to the airport (no aircraft noise can be herd from this location) that can be used as a transition place between travel & business. We enjoyed our quick gettaway stay here. Rooms were clean, staff very friendly & helpful. Room reasonably priced. Not too far from the city centre. All city centre parking in Bendigo is free at the weekend anyway. Hi we loved staying at the Crystal Inn. Erin at front desk was wonderful, the room spotless, beds comfy and loads of space to spread out in the family room. We will be back and thank you so much for the time you took in telling me about the wonderful things to see in Bendigo! Staying at the Crystal Inn in Bendigo was fantastic. Easy check in/out and the staff were absolutely lovely. The room very tastefully decorated and we have stayed there several times when we visit Bendigo. Stayed 6 nights, found the managers & staff very accommodating. The cleanliness, comfort & situation of motel perfect. The room service food was amazing & great value for money. Will stay again. Lovely & relaxing atmosphere. "Spotless and very friendly owners"
We spent just one night in this Best Western location but it was a great stay. The owner even took us out to watch kangeroos! The rooms are spotless beds very comfortable! So a real good place to stay! We used this property as a meeting point for family travelling from opposite sides of the state. The staff were all so friendly and welcoming which was a lovely start after a long road trip. Both our rooms were spotlessly clean, beds were comfortable and everything you could ask for is supplied including what I'm told by my son is the best hot chocolate ever. The decking area is beautiful and I could imagine myself relaxing with a bottle of wine and a good book in warmer months. Thanks to everyone for making our stay so pleasant. We will absolutely be back. 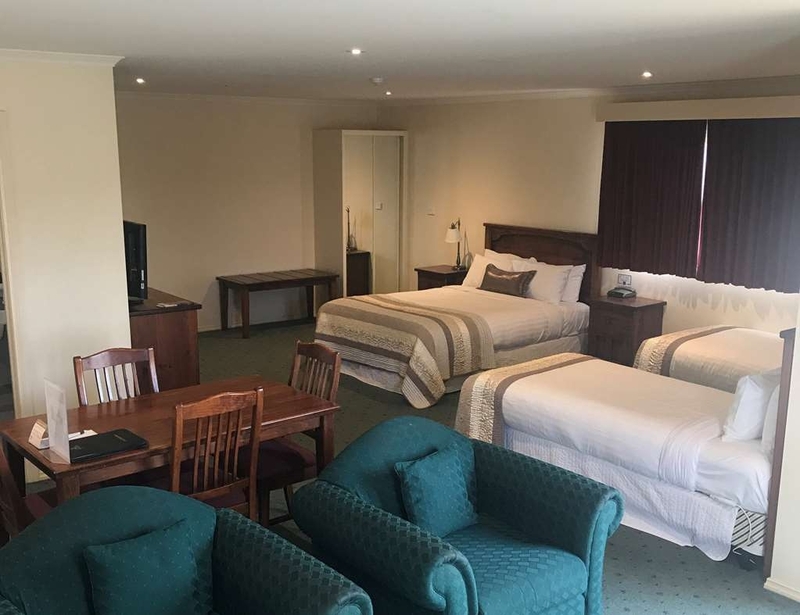 While on another regional trip & conference in Bendigo I was lucky to re book the team into the Best Western Crystal Inn - the service & rooms have always been good & had no reason to doubt on this recent trip. Provided a budget solution to getting the team into accommodation without paying the full night rates which is always appreciated - provided an apartment room to allow the team to meet & do any work needed while away from the office - again very much needed & well received from the guys. Easy access rooms - no need to walk miles to find the room - very comfortable beds & good showers. Yes look forward to my next trip into Bendigo..
We have nothing but positives for this motel. From the time we checked in, the staff were very friendly and welcoming. The room spotlessly clean and the bed comfortable. We didn't have breakfasts but we did order dinners for both nights we were there. A simple, home-cooked menu which was very nice. The internet is hit and miss but the owners are working on it. A bonus is the huge service station/car wash next door for any after-hours needs. Under cover parking is also a bonus and the pool would appeal to a lot of people, especially the kids. We would definitely recommend this motel. Thank you, very much. We stayed here for 2 nights and were highly impressed. The hosts were very friendly and helpful on arrival and during our stay. 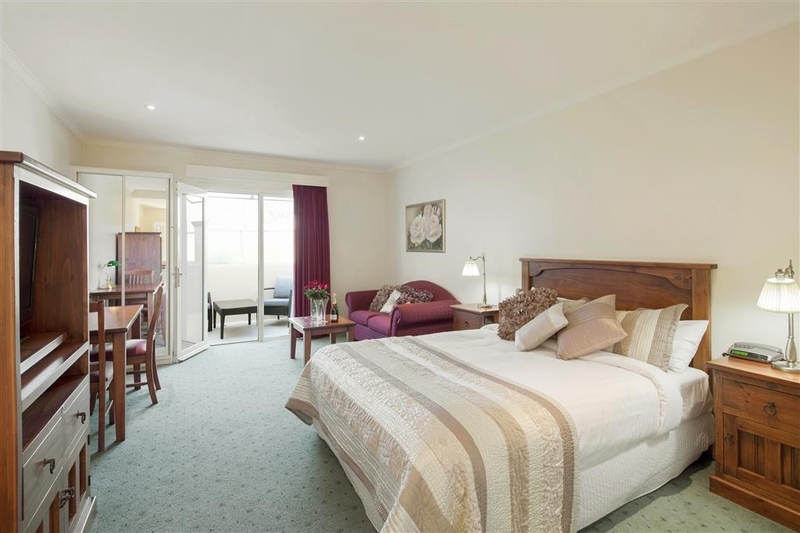 Very spacious rooms and comfortable beds, heat pump and electric blankets which were very welcome on cold nights. 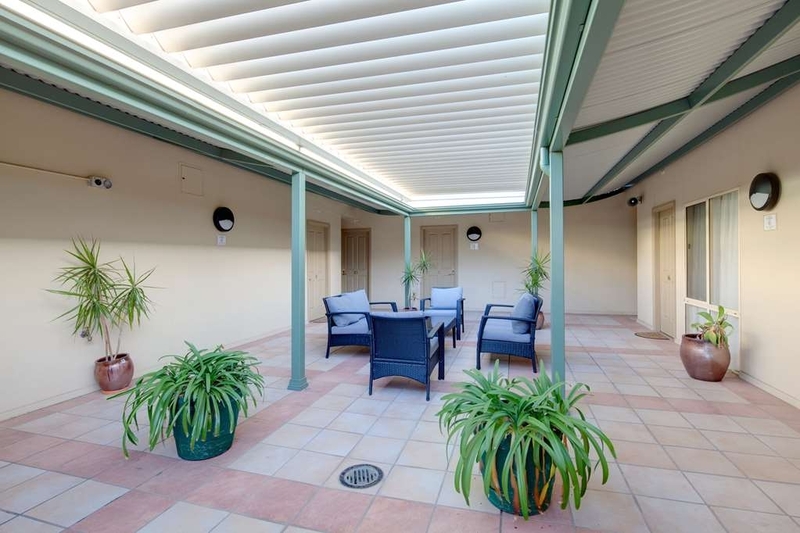 In summer the large courtyard with shade and swimming pool must be great for guests, and a huge bonus was the undercover car parking with a lift upstairs. Would definatly stay here again if in Bendigo. Lovely rooms with King size bed and even gave me a free upgrade to the Crystal Suite which was a bigger room and had a corner spa bath. Quiet room and heaps of pillows. Staff are very helpul and polite. We had a fabulous 2 nights at the Crystal Inn. Extremely comfortable beds and spacious,spotlessly clean rooms. Lovely pool area. Very friendly and helpful reception staff. An easy 5 min drive into city centre. Will stay again. Return guest to the Best Western Crystal Inn. Front desk staff are very friendly and helpful. Happy to assit with tourist information and make reservations at restaurants in town. Plenty of undercover parking for guests. An interesting layout with all rooms on the first level and a covered sitting area between rooms - great for evening drinks. Hotel location is a little out of town and requires a vehicle to drive to restaurants and sites. Overall good stay. "Genuinely friendly service and a well-placed, quite motel"
The room was comfortable with the usual amenities. All guest rooms are on the second floor, with elevator access, and are mostly around the pool. Because they are away from the main road, the rooms are nice and quiet. The staff were courteous, obliging and helpful. Wonderful place, neat, clean and very quiet, despite its location close to Bendigo. Lovely room, friendly staff, and a wonderful breakfast. Great value and great location. Undercover parking and a lift, very handy for any oversize cases. Thank you for your wonderful review. We are delighted you enjoyed your stay at the BW Crystal Inn. "great layout and friendly staff"
It is the first hotel that all the rooms on first floor.undercover parking for all. In the centre of the rooms 1st floor is a very large courtyard with plenty of tables and chairs, there also a BBQ for use. Outside Pool is great and believe is heated. Great to meet up with all. I had a disabled room and it was set out the correct. (it has been a long time that there was a self in shower). I am leg amputee and found it hard to get under the shower. But I do not think non better for disable. Thank you for your review, bundydeniss. We are very pleased you enjoyed your stay here. Rarely do I sleep well in Motels but the bed was great. Service from the staff from check in to check out was very good & also accommodating for the parking of my trailer request despite not having a lot of room. Overall a very good place to stay & I would highly recommend the Crystal Inn in Bendigo to anyone. Thank you Wayne for taking the time to review our motel. "One of the most Friendly & Welcoming places I have stayed at! ?" Was driving through Bendigo looking for a room for the night.. came across this Best Western motel & was very happy & pleasantly surprised. The room was the last one available & being on my own was a real treat having a huge bed all to myself. 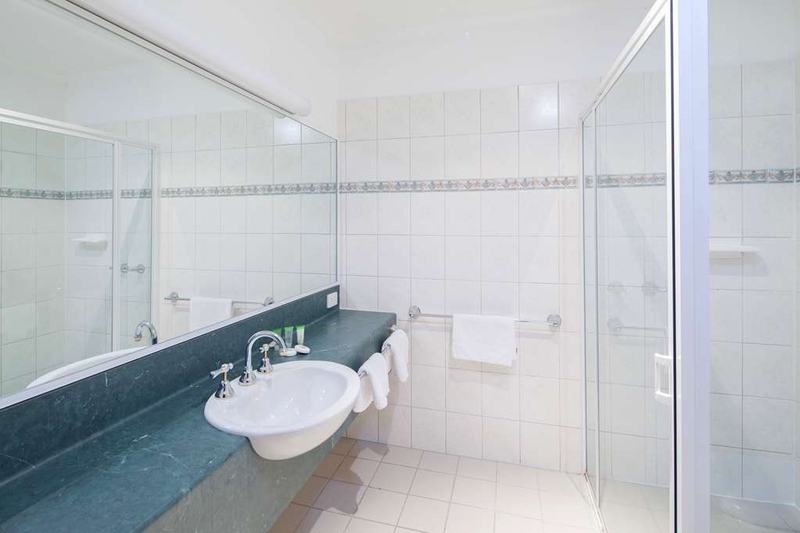 Complete with spa bath, small kitchenette but very well appointed. The service offered here was exceptional, nothing was a problem whatever I asked for all done with smiles. My room eleven was very clean with nice fluffy towels & when asked about a microwave... no problem was delivered & installed in a matter of minutes. Sharon & Tim are the owner managers here & they run a fantastic motel based on customer & guests receiving the best service. My personal rating is 20 out of 10.. brilliant rooms & awesome service. Thank you Tim & Sharon for being so friendly & nice.. made my visit to Bendigo just great. Anthony, it was wonderful to welcome you to our motel and thank you, for taking the time to share your experience through this review. Hope the travelling continued to be as enjoyable as your time here in Bendigo. We stayed at this hotel earlier this week when my daughter was unexpectedly ill and we couldn't drive. The receptionist was very helpful and allowed us to check in hours early so my daughter could rest. Room was a good size and clean. Ordered room service for dinner and the roast lamb was really yummy. Big serving. Plenty of free parking. Con - advertised as free internet but it is only 500m. Although we were given 3 log ins to give us 1.5gig, that was used up within 2 hours. Then you need to pay. Luckily I had data on my phone plan. Rooms a little dated. Not a lot of amenities but was good for what we needed. Thank you for your review, Jodie. We are happy to have been able to accommodate your additional needs re early access to the room. The internet is generally enough for most guests but you are welcome to ask it you need more. The lady host was very friendly and helpful. The premise is well kept up, neat and tidy with everything in good repair. Parking is mostly undercover. The rooms nice and beds comfy with sufficient extra bedding. A few km from the Bendigo CBD. Erin and the team looked after our family so well during our recent stay. Rooms warm and welcoming when we arrived and nothing too much trouble...even switching our electric blankets on for a late evening arrival back! Many thanks! This is the first time we have stayed at the Crystal Inn and it will not be our last. It all started with and friendly welcoming telephone conversation to book our room. On arrival we were greeted with a great smile and open arms so to speak. All car parks are under cover so your car is not sitting out in the melting sun or pouring rain, so accessing your things is easy regardless of the weather. The rooms are spacious and comfy. The most important component is of the course the bed, which is warm and comfy. The bathroom is generous with room to move. After being in a number of hotels overseas where drying oneself in the bathroom is a task of its own, it was wonderful to have room to move. One thing missing in many places today is a reasonable sized baggage stool, Not at the Crystal Inn. The generous baggage stool enables easy access to your bag and plenty of room to lay things out. There is of course a wardrobe; iron & ironing board; a comfy sofa, generous size table/desk and chairs; a coffee table to spread out on and so on. Although the size and comfort was truly wonderful the thing that made it all worth while was the warmness from both the owners and the staff who were ready to help in anyway the could. You may arrive a stranger but you leave a friend and can't wait to visit again. It really did feel like home away from home for us. This is the first time we booked here - it won't be the last. Staff were very friendly and went out of their way to help. One huge bonus with cold winter nights is that car parking is all undercover - all rooms are upstairs. A lift makes arrival and departure easy. We enjoyed our stay. "Functional and all that you want"
Business trip to deepest darkest Bendigo. First off let me say that I had to stay there......but if I went to Bendigo again I would want to stay there. Good location, easy to find. Right next to everything you might need but not in a built up area. Management and staff very helpful and friendly. Rooms clean, good size, quiet and functional. There is a pool I didn't try it out. No tips.......seemed nice and all rooms looked well appointed. I would try and steer clear of rooms facing the road but thats not a tip right? Would I return. Absolutely already have. The owners of this hotel are friendly, helpful and professional. Rooms are very nice and spotless. There is a pool for those who want such things and meals can be ordered in from surrounding restaurants and simply charged to your account - a great service. Thank you for your review, Andrea. We were disappointed to read your review and find that you did not have the experience you were expecting on your return to the BW Crystal Inn. We have taken your feedback on board. As with any building there will always be some changes over the years and some natural wear and tear, however we pride ourselves in providing a wonderful stay for our guests and are always willing to look for ways to improve the experience. The owners of this motel were the most friendly owners of a motel I have ever met. They even helped me out with a waterproof poncho for the event we were attending. We stayed in the spa room, very clean and tidy. Well equipped with everything we needed. Would definitely stay there again. Thank you for your review, FabFiveTasmania. We are delighted you enjoyed your time at the Best Western Crystal Inn, and found our rooms and beds clean and comfortable! The accommodation was outstanding, very comfortable and extremely clean. Overall excellent. The owners were very friendly and when my elderly parents encountered a problem with their vehicle they went above and beyond to help them deal with the insurance company, repair agencies and generally ensured their stay and the whole experience was stress free. "Ripped off and stitched up"
Quoted $159 over telephone and billed $259 on arrival. Being late in the day with other commitments we were in no position to find alternative accommodation. Managements response and the defence of staff member who had clearly quoted the wrong room rate through her own and managements admission was terribly poor and extremely aggressive. Escalated our complaint to Best Western a brand we hold in high regard, but to no avail. 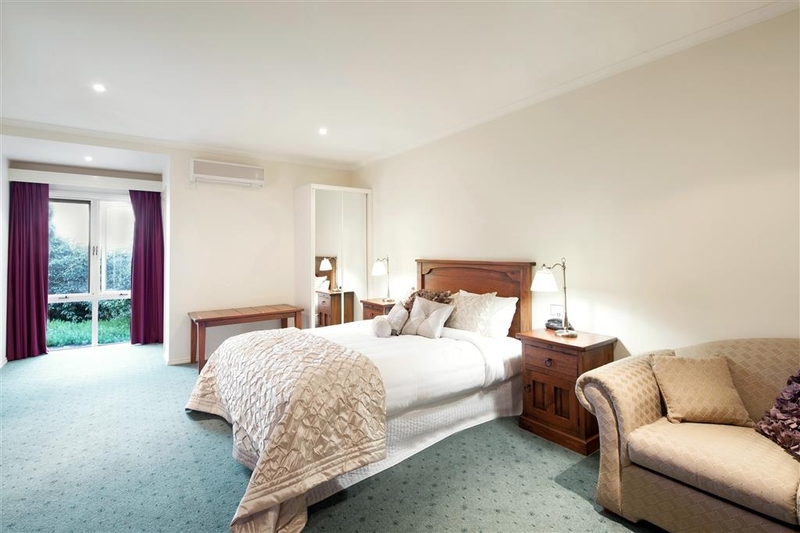 We suggest $259 per night is at the pointy end especially in Bendigo on even the busiest of weekends in what was a spacious but very basic room. Thank you for your review, Narelle. As discussed directly with your partner at the time, the amount quoted and consequently charged, was consistent with the rate for that room as advertised both online and direct to any guests enquiring. At no time did my staff member or I suggest that the amount originally quoted differed from the price charged, but we certainly accepted that this may have been a case of mishearing. Hence why we offered the option of a full refund so that you were free to find alternate accommodation within your desired price range ~ which you chose to not pursue. The Best Western management team noted that the price charged was in line with our advertised price, hence why no further action was deemed necessary. We are disappointed that you were not happy with the result and hope that you have a more satisfactory experience when next you stay in Bendigo. Stayed at Best Western Crystal over Easter with our Hot Rod Club for the Easter Nationals. The room was spacious and comfortable, free tea and coffee, kettle, toaster and crockery and cutlery. They assigned us with a large disabled bathroom (not needed) and with shampoo, conditioner, bath gel and body cream. It is good knowing they can accommodate someone who is disabled. They have an elevator to the rooms, underground parking and a large entertaining area with pool and barbecue. As a larger family (5 people) starting a week long road trip, this room was a great kick-start. Loads of room in the Spa Family room. Not only comfy beds but a separate living area and full size dining table. Spotlessly clean and well presented. Erin was quite helpful and friendly. Motel was in a comvenient location and no highway noise despite being on a main tboroughfare. Well done to proprietor Sharon for a smooth operation that ran well in her absence. Definitely recommend for those travelling to or through Bendigo. 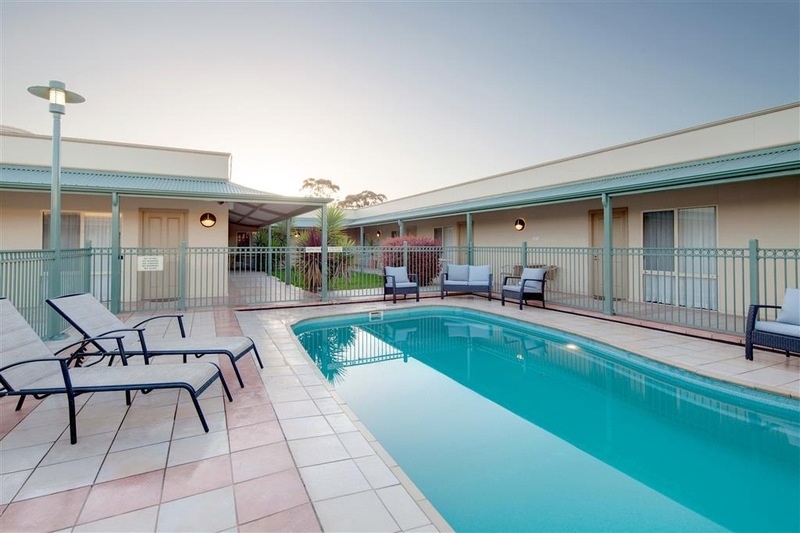 Wonderful clean premises with a great court with pool area. Superb cooked breakfast will not disappoint either. Friendly staff top off what is a great place to stay and explore Bendigo and its surrounds. "Unplanned stay....but so glad we did." What a wonderful place to stay!...Our day had been traumatic to say the least,with a broken down car, (and it was a very hot day in Bendigo) The RACV actually found our accommodation for us, and their choice was fabulous. Our taxi dropped us off, the welcome from the receptionist was wonderfully professional, she knew we were somewhat ruffled, and her friendly and professional manner was extremely helpful. As soon as I stepped into our room I felt so much more comfortable and relaxed. The room was large, lovely and clean, with a huge shower room. My fiance is an amputee, so our room was perfect for us, as was the lift that took us up to the first level. The Queen sized bed was so comfortable, with wonderfully crisp linens and beaut pillows...There was no noise from the traffic on the H'way at all...the convenience store next door was handy for us. Although we had an unplanned motel stay, and we were understandably a bit rattled, our stay at the Crystal Inn was very peaceful and we would like to return again. Thank you all very much for you much appreciated help. "Value for money with a smile!" My husband and I stayed here last Friday night when passing through Bendigo. Despite it being early evening, I was greeted with warmth and friendliness by the lovely lady at the reception desk. I was even asked if I required assistance regarding dinner plans. I didn't, but the inquiry was much appreciated. The room was large, immaculate and well appointed. We had a nice view of the pool and surrounds. The bed was super comfy. The parking is undercover and free. A great stay and a very reasonable price. I would highly recommend. Wife and I stayed 4 nights. 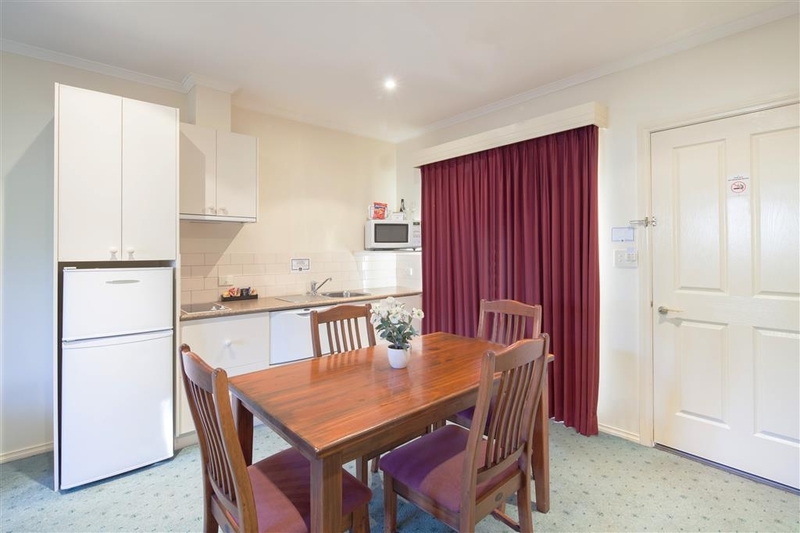 Large room with queen bed, A/C, Foxtel, tea making and ironing facilities. Also large bathroom. All exceptioablly clean. We had 2 meals in our room - 1st night Steak, fries and veg with sauce. Have to be one of the best pieces of fillet I've ever had. Meals overall very good. No inhouse restuarant. Owner and staff very helpful, friendly and efficient. 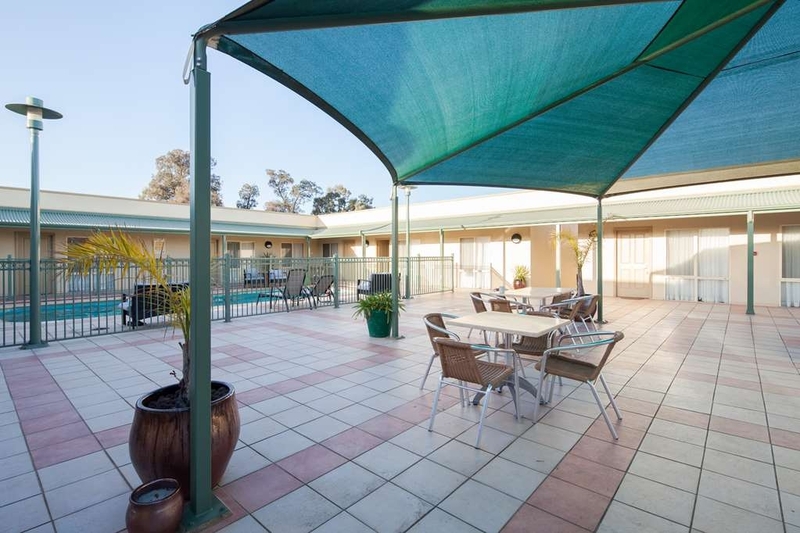 "When in Bendigo we always stay at the Crystal Inn"
Quiet, clean, modern motel. All the rooms are on the first floor, facing a sunny courtyard rather than the street. There is a lift from the ground floor carpark. The sunny heated pool in the courtyard is great in the warmer months. We've stayed here many times. "Crystal Clear Why This Is Bendigo`s Best...."
After having a few issues & then cancelling the first nights accommodation without any fees - greatly appreciated & then within 12hrs re calling to book again & get the level of service & a free upgrade was truly awesome. This location is just out of town but has the ability of room service for dinner & breakfast if your just not keen in heading out into town. Both meals are with numerous options & are of fair sized portions. The pricing is also pretty good for an in house kitchen. (steak is a good cut & cooked too your liking.) Having stayed here before I know all the rooms are well spaced, good clean amenities & comfy beds & are very comfortable for the overnight or the week. The bonus of this review is that now having stayed in the "Crystal Room" it is something for local newly weds to look at, this is a large room with a king bed, couches, balcony, large double spa, just what the doctor ordered after the big day..... They also over a great BBQ area with heaps of out-door tables a good sized pool that is central to the BBQ & eating area. My husband and I stayed two nights at Crystal Inn. Erin was helpful when we were booking and upon our arrival was welcoming and nothing was too much for her. Room was spacious and clean. Bed was comfy and internet vouchers were appreciated. Thanks for a great stay. Best Western Crystal on McIvor Hwy Bendigo was a great place to stay for an unexpected overnight. Service was great and bedroom was truly very good quality for the price. Bravo well done Best Western. We stayed here again 1 year later. The rooms are spacious and clean. The decor is homely, fresh and furnished well. The owners and staff are very friendly, professional and accommodating. The position is just out of the main centre but very close to most venues. We will definitely return. The rates are very good and the mini bar for those that would use it is also well priced. "Nice but average for price"
We called the Motel late afternoon after a day of driving about the central goldfields. We needed a room which could sleep two adults and two children (11 and 12) and during the school holidays this was proving difficult. Thankfully there was one room which they could move another single bed into. On check-in the staff were lovely. Very accommodating. The room was super clean and comfortable. The location is a little way out - but sometimes that's a good thing. 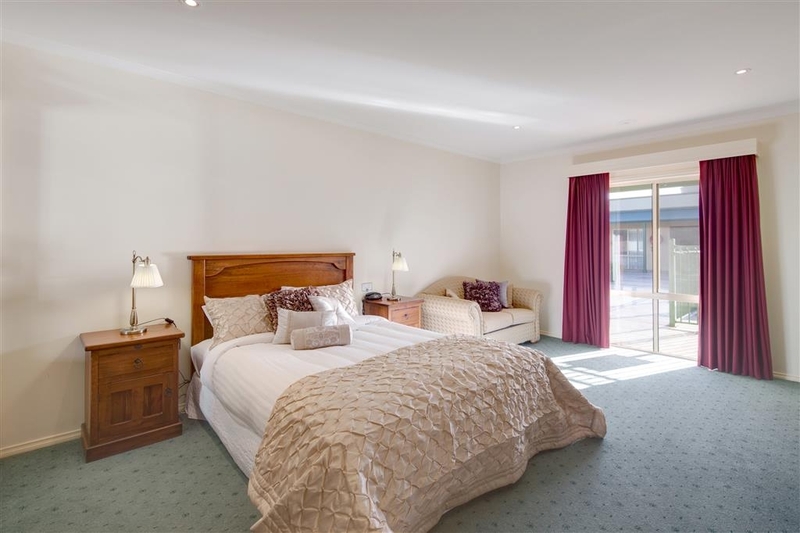 I would recommend this to anyone looking for accommodation in Bendigo. "Friendliest hotel in town "
We had a large group stay here for 3nights. Rooms were clean and tidy and receptionist did everything possible to make our stay really pleasant. She was friendly and happy and went out of her way (compared to a lot of places I have stayed) to make sure we had everything we needed. The pool was nice and warm for the kids. ?? I stayed at the Crystal Inn in June, freezing cold and raining so the undercover parking was a big bonus. The young lady at reception was wonderful, both friendly and helpful, similarly the owner when I met her later in the evening. My room was reasonably large, clean and tidy with an uncomplicated layout. The bed was extremely comfy. Like one of the other reviewers, I too would like the hot water temperature cranked up a bit. This hotel would be ideal for anyone needing to visit the University, not walking distance but an easy 3 or 4 minute drive. Extra bonus is the location, especially if you have to head off early along the McIvor Hwy as you're already out of the main township, you're up and away. "Great Accomodation, Owners very Accomodating"
We stayed at the Crystal Inn on Wed 27th July. We needed to change our nights accomodation to the following night, this was done without any trouble. The owners were happy, and accomodating, nothing was too much trouble. We had a great stay. Thank you. A bitterly cold afternoon followed by a stressful day. Apparently my face said it all. I stepped away from my colleagues into the door of reception. Relief, a warm voice came from behind the desk. "Once of those kinds of days ". Ahh i agreed it certainly was. Sharon is a softly spoken lady, graceful air and with attention to detail and genuine hospitality. My room was beautiful shared with my mum. Spacious and covered all our requirements. We stayed for 3 nights and enjoyed every minute. Finally we sadly ended our wonderful stay. Late Saturday night as we had an early flight to catch. Sharon couldn't do enough for us, To make our early morning comfortable. We were also humbled when we met her gorgeous children. Extremely well mannered. This is where I recommend you stay when you're in Bendigo. A family business with a heart of gold. Great reception staff, clean tidy room and very comfortable bed. Car parking facilities are excellent. Shower water-pressure was OK, although the hot water could be set a little warmer. Lovely thick towels and bed sheets. Would stay again. It is not far from Bendigo city by car. The room was spotless, warm and comfortable. They are also well sound-proofed, which was great because I'm not a good sleeper away from home and noise only makes it worse. The staff are friendly and helpful. There is an underground carpark and we were able to reach our rooms without having to go out in the weather. There is an outdoor section if you want to sit and relax in the fresh air. It is also reasonably priced. There aren't microwaves in the room but we did see on a leaflet that you can book one. There is a fridge, crockery and cutlery and a toaster and kettle in the room which were all very clean. 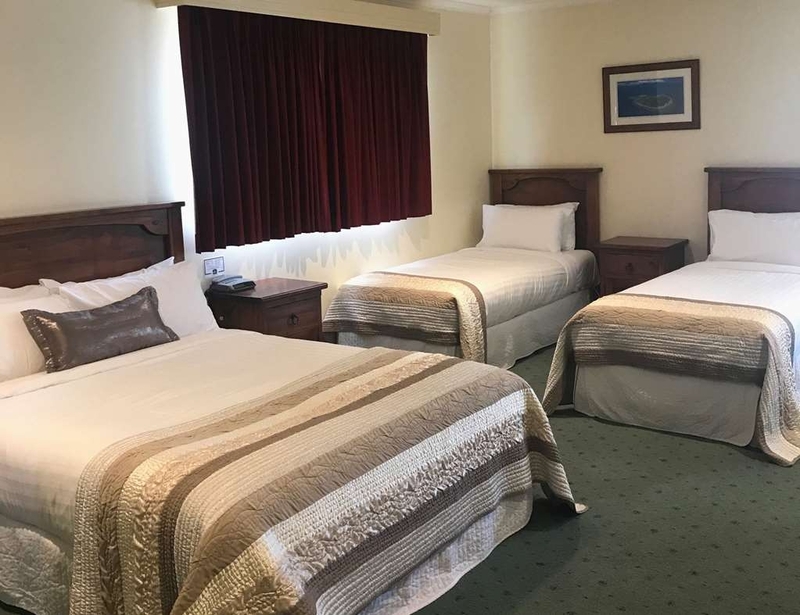 "Nice comfortable room, easy access to McIvor Highway"
We stayed for one night after a night out at the Goldmines Hotel. Reception was friendly, offered a spare keycard to put in the power slot so that when we came back to our room late at night our room would be warm. Free wifi vouchers offered and the service worked first time and was quite fast. 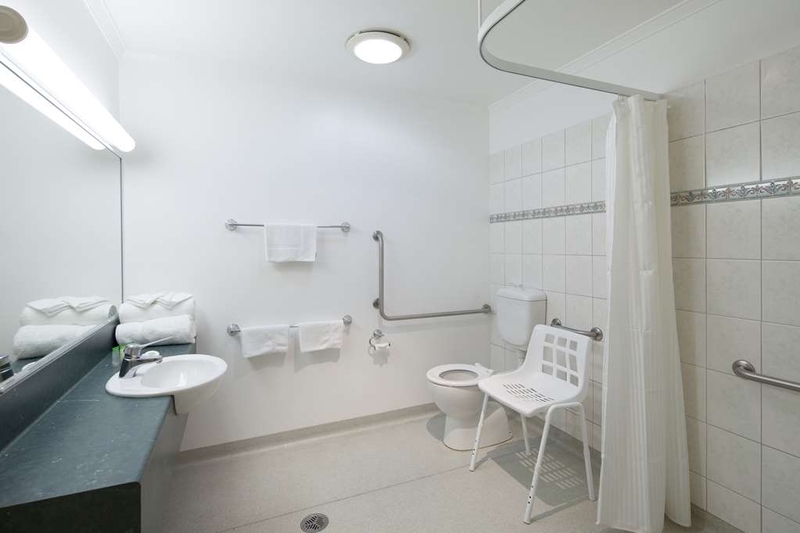 The clean room was a good size, bigger than some motels in rural Australia, with a Queen bed, table for two, sofa and luggage rack as well as hanging space. There is a small mini bar list - crisps, wine soft drinks. Undercover parking and a lift up to the rooms. There is a central courtyard and pool, but it was a rainy winter evening and we didn't arrive till dark so did not use these facilities. Common facilities were clean and tidy. Breakfast is either hot meals delivered to the room in the morning, or a continental breakfast of 3 choices for $12.50 per person. We did not have breakfast as we were fairly close to home. There is a 24 hour service station with a reasonable range of snack type foods, real coffee and groceries right next door. Room had crockery and a toaster so you could eat take-away food, but no cooking in the room as per health regulations. Bathroom was clean and a good size; shower temperature is regulated as per health & safety regulations again so if you like a warm-hot shower, don't use any cold water. Checkout was uneventful and friendly. We used a Best Western Rate for 55+ travellers and this was good value for the night. The motel is about 5 minutes drive from Central Bendigo. Would stay again. I booked a "De Luxe" room which, although ample room for queen bed, 2 seater lounge & coffe table, was fairly basic. The en suite was clean and provided the usual facitlties. No restaurant or breakfast provided, so I needed to travel to a nearby hotel. Parking on the ground level and all rooms upstairs, although there is an elevator for those who can't use stairs. The motel staff were pleasant when processing the check-in & out. 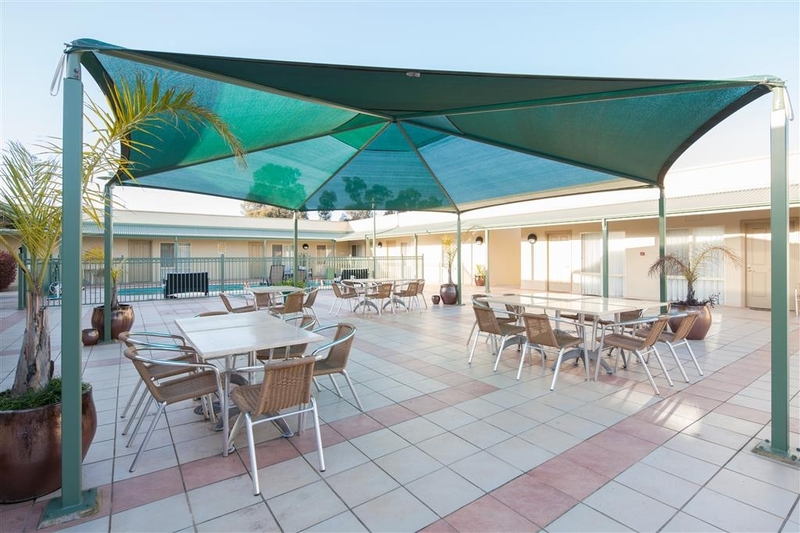 This motel is well away and a good driving distance from the main shopping area, restaurants, & city centre. The rooms overlook a court area with BBQ facilities, tables & chairs, and there may have been a small pool which would be good for warmer weather. The bed was comfortable, so if you're looking for a short stay without needing the facilities & amenities standard with most motels with meals areas, it would be okay. "Nice property close to Bendigo CBD"
This is a nice property outside the main CBD. 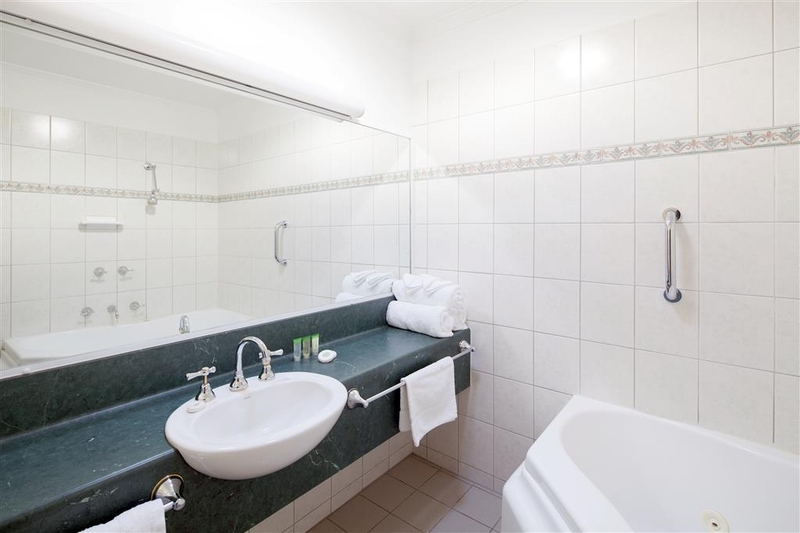 Room was clean and well-equipped with good sized, well lit bathroom. Staff go out of their way to ensure a pleasant stay. Easy access, complimentary, undercover parking but property is also on main bus route to town, around 10-15 mins drive away. Although Crystal Inn doesn't have a restaurant they offer room service and breakfast. However we opted to walk 5 minutes to the All Seasons for a couple of meals. Will definitely stay at Crystal Inn again. 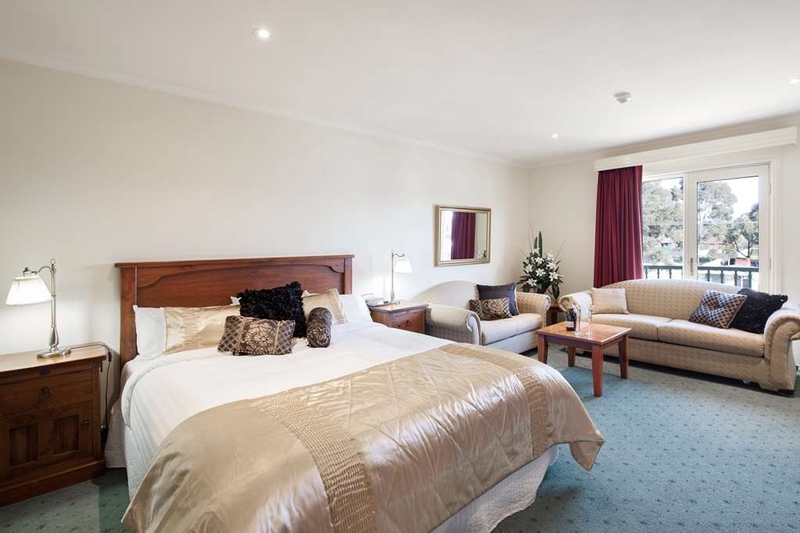 I often stay here when in Bendigo, as I always get a quality room, quiet surrounds and a comfortable sleep. With around 30 rooms it is a much more comfortable option than others nearby. Located on the edge of Bendigo going towards Junerton, it has undercover parking, a lift if you don't want the stairs and is well priced. "Great place to stay with friendly hosts"
"Amazing service & great hotel!" We stayed here for Groovin the Moo 2016 and it was just perfect! Sharon & Erin were super helpful, welcoming festival goers and going out for their way to make sure we were all safe and had a great day. Would highly recommend for any trip to Bendigo, this place is just great! "Best accomodation so far on this road trip." Booked by online without seeing it and very pleasantly surprised. Lovely welcome by reception who offered any help we needed to see Bendigo. We booked for 2 nights and very happy with our lovely BIG room. Very clean and a place for everything. Nice big bathroom and beaut showers. Bed is just so comfy with a mattress topper which you sink into. Movie channels are excellent and come with the room. Free carpark underneath with a lift to rooms. We never used the room service facility for food but did go next door to a Convenience store where they had light meals, milk, bread etc. Would certainly recommend this place to stay. We have stayed here a few times now, and each time I am so thankful that we return. The rooms are very clean, the beds are so comfortable, the bathrooms are spacious and it has all that we could want and more. The undercover parking is fabulous, the outdoor area is great for relaxing and entertaining by the pool. The staff are friendly and accommodating. I highly recommend this accommodation. "Spacious and comfortable Best Western"
My wife & I stayed 2 nights at the Crystal Inn. It's not centrally located and our GPS had some trouble getting us to the right Best Western! However, once we were there we were pleased with our choice of accommodation. There was a lift to take us up from the basement car park. When we walked into our room it was light and airy and it was also very spacious and comfortable. The place was super clean and the bed just right for a good nights sleep. Overall, a pleasant 2 night stay. Great hotel on the outskirts of the city. Excellent value, friendly and helpful staff, quiet, exceptionally clean, great wifi.rooms a good size, eateries and convenience store nearby. 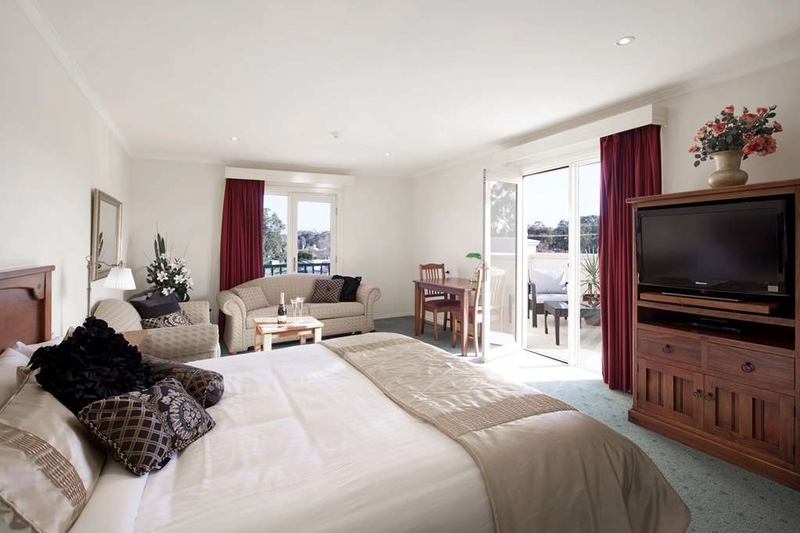 You don't need to stay in the heart of Bendigo to enjoy the best accommodation in Bendigo. Stayed for two nights, good sized clean room and bed was very comfortable. Appreciated the number of quality wooden hangers in the wardrobe (not considered important by many motels) and also appreciated the under-cover parking. The only down-side is the Servo next door, but overall would stay again. Hi David, Thank you for your recent feedback we see all feedback as an opportunity to improve. I will ensure to place a note on your profile to allocate you away from the western side of the property for all future stays. We hope to welcome you back again soon. Regards, Lisa. This is our 2nd stop here. Reception lady was one of the nicest people that we had met in customer service. Owners should be very happy with their staff.. Room was clean and spacy. Beds were comfortable. Bathroom large with large good shower. Hi Tanya, Thank you for your recent feedback, we welcome all feedback as an opportunity to improve. We love to hear when guest really enjoy their time with us and pride ourselves on offering exceptional customer service. We look forward to welcoming you back again soon. Regards, Lisa. Nice clean place. Friendly people. Would recommend a stay here. Aircon works great. Reasonable pricing. We dropped in after a long day on the road. The apple pie and sticky date is delicious. Comfortable bed. Thanks a bunch. Sorry trip advisor 200 characters is too much. Most people only read the top sentence anyway. Was in the Bendigo area for business for over a week and had an excellent stay at the Best Western Crystal Inn. The owners and staff were all very courteous, helpful and accommodating. The location is on the east side of Bendigo. Parking is covered under the hotel, they have a nice courtyard area with a pool. The rooms and area around the hotel are quiet. The beds are very comfortable, rooms are well appointed for this level of a hotel. I recommend and will be back there again. "Disappointment saved by outstanding management"
I booked Best Western Crystal Inn for my wife and I for a one night stay on a road trip vacation. It was convenient to the home of friends with whom we were to have dinner. We are familiar with Best Western and happy with the consistent standards of their motels. I booked via the Best Western website. We were late in arriving and I telephoned to advise that we would not be arriving until 8.00 pm and that was fine with the manager. When we arrived, I checked in and obtained the room key but we then went to dinner without going to the room. We arrived back at midnight and to our dismay found that our room was in a state of confusion. The bed was not made and the bathroom appeared to have not been cleaned. There were clean sheets and towels piled on the desk. It was so late, we just made up the bed ourselves and went to sleep. In the morning, the manager came to see me and without prompting apologised for the state of the room. We had accidentally been given a room that was the subject of monthly "deep cleaning" - we were supposed to be in another room. The manager backed up the apology by refunding our room charge and offering 50% off the next time we stay there. While the state of the room did disappoint us, the positive action of management (thank you to Sharon) and the standard of other aspects of the motel overcame the disappointment. We will certainly stay there again when the opportunity arises. 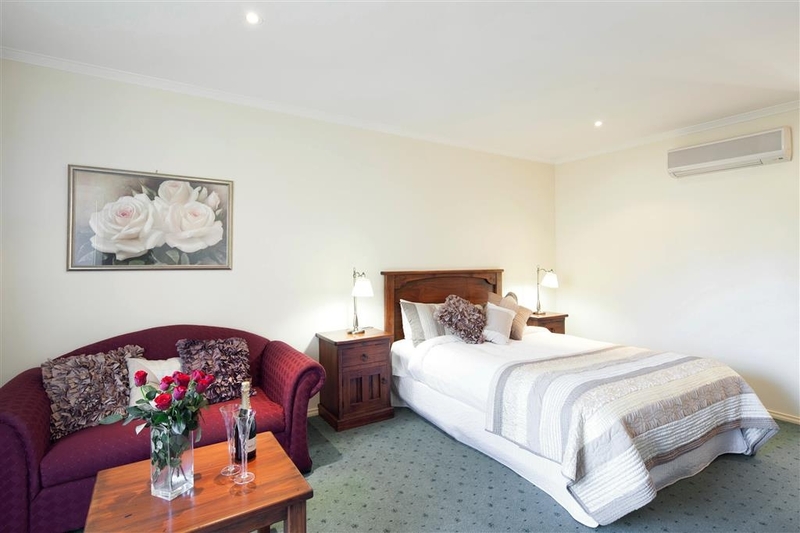 "Very helpful and pleasant owners"
Lovely people, and the hotel has clean spacious rooms. Slightly overpriced as inn is a bit dated. The inn is in a high traffic area slightly away from the CBD. Parking available at no extra cost. A well shaded, central court yard was pleasant for catch ups with other guests. Stayed in a deluxe double room for three of us. Comfortable queen bed plus a single sofa bed. Good sized room with the usual fridge, toaster, kettle & mini-bar if required. Full length mirror on the cupboard. Bathroom was a good size with plenty of bench space and large mirror. Shower had good pressure although it was one of those water saving heads. Access to rooms is via stairs or a lift. Rooms around the courtyard which has outdoor seating and a pool. Would have been a nice spot to enjoy the sunshine if we'd had the time. 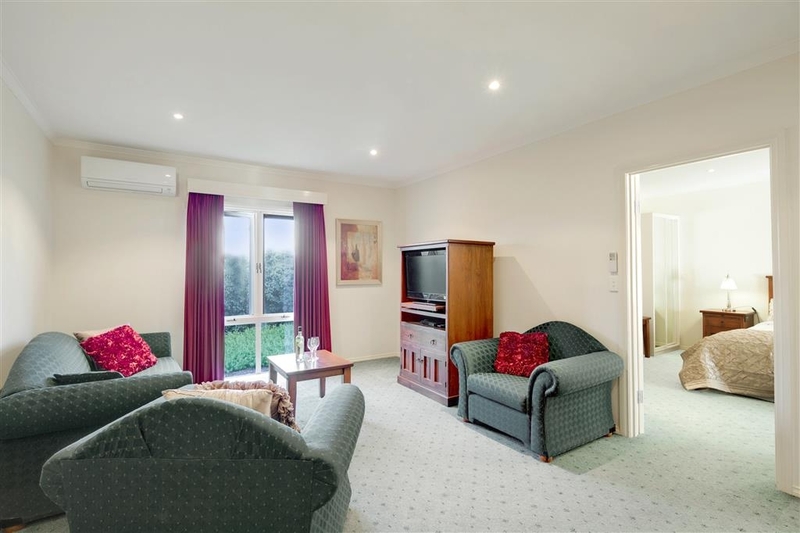 Very comfortable stay and easily found on the McIvor Highway. Stayed here when I went to The Eagles Concert at Hanging Rock. Fantastic staff, very helpful, Brilliant design. The rooms were great The pool AWESOME. Went with a group of friends, The outdoor pool / entertaining area was central to all our rooms. The lift was great to get luggage upstairs, The rooms were well fitted out. We stayed here for 4 nights with a large group. The rooms were great. Clean, spacious and quiet. The pool area was good as well as the central outdoor area where a BBQ was well utilised. Would definite stay here again. It is not central to town so a car is needed. My only negative was the shower it was starting to get mould around the edges otherwise the rest of the room was great. "Lovely bedsheets and really clean"
My mother, my daughter and myself stayed here midweek and it was really pleasant. There was a bit of a mixup with the online booking not coming through but the lady was pleasant and friendly and the matter sorted quite quickly. The room was much better than expected with a white, cream and real wood decor with everything seeming new. It was exceptionally clean and the bedsheets lovely. I liked the rooms being upstairs and the courtyard layout, it felt safe. No noises heard from the road or other rooms and the room was nice and dark to sleep in. Would highly recommend, especially to solo or female travellers and families. Quiet, clean and well appointed room with good undercover parking. Friendly and helpful staff. Good value for money with a continental breakfast provided in the room for my early departure the next morning. The only downside is that the Motel doesn't have a restaurant. After staying one night at another Motel which was totally unacceptable, my friend and I moved to this Motel. What a difference!!!!! Friendly welcome from the Manager who couldn't help us enough, very informative. The room was fabulous with a great outdoor area complete with plenty of tables and chairs (some under shade sails), pool which is heated but didn't try it. Back to the room, big room, comfortable couch, very comfortable beds, excellent bathroom with complimentary toiletries etc. Mini bar was available. Slept like a log (no noise). Breakfast is available to your room, we had one continental and one cooked, both excellent. Check out was with another staff member who also was very pleasant. All rooms are up stairs but there is a lift. Overall we were more than happy with the room, staff, cleanliness and general atmosphere. Parking is underground (great on hot days and secure). Would recommend this Motel. Our occasion was for a 60th b'day. There is a 24hr service station next door also a pokie venue a block away if you must LOL.